Cases & Conversion Kits. Exhibitsusa. 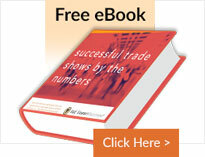 You’ve invested in creating a custom display for your trade show presence. Shipping cases ensure your booth components arrive in excellent condition. 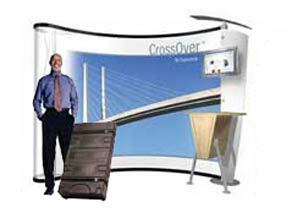 When you order from E&E Exhibit Solutions, we include shipping cases standard with your pop-up exhibits, custom portable displays, custom modular exhibits, fabric displays and green displays. Our shipping cases are specifically designed to store and ship your custom modular or custom portable displays. Made of a durable roto-molded material, our smaller shipping cases come with wheels and a handle for easy transportation. Shipping cases come standard with your exhibit solution; however, you can also order additional or replacement shipping cases in a variety of styles and sizes. Have a question about our shipping cases and the right ones for your needs?